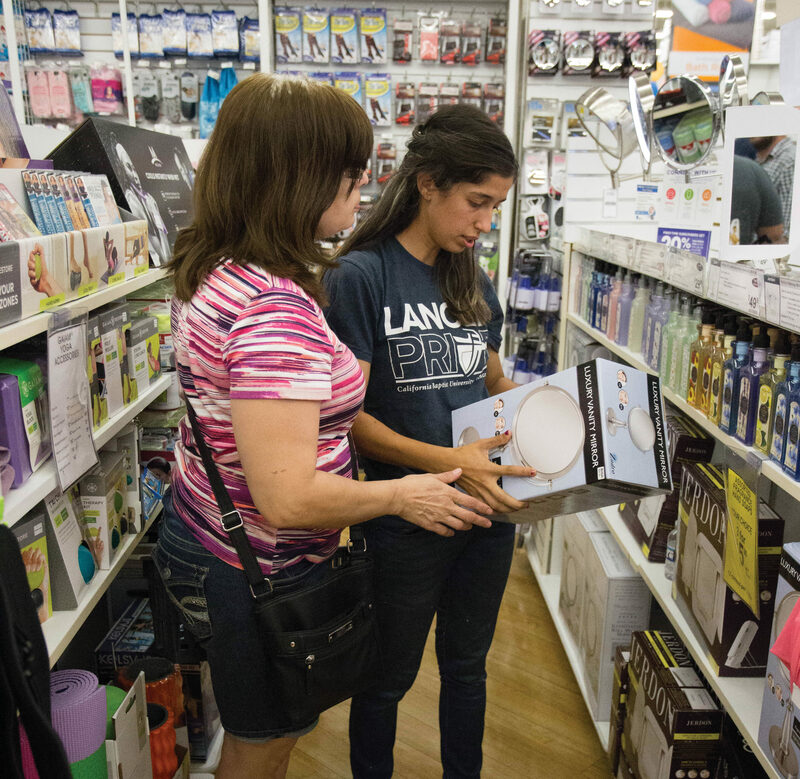 More than 900 students flooded to Bed Bath & Beyond Sept. 2 for California Baptist University’s first Lancers & Beyond event, in which doors were left open for Lancers after the store closed. Although this event was advertised through Welcome Weekend, the entire student community was able to be involved. Students had the entire store to themselves and a 20 percent discount off their purchases, along with food and prizes offered throughout the night. Ellen Hampton-Lee, district customer service trainer for Bed Bath & Beyond, said her expectations for the event could not measure the turnout. Aisles were packed with students and their families trying to get last-minute supplies. Even students who completed their back-to-school shopping early came to participate in the high-energy event. Kate Fuller, freshman business administration major, said she was excited to be a part of the event and to have a chance to meet new people. While this is the first time CBU has hosted the event, a strong possibility exists that it will evolve into a tradition that can be carried on in future years. Nick Worrell, senior Christian studies major and intern for the First-year Orientation and Christian University Success (FOCUS) program, said he loved the energy of the event and hopes to see it again in the future.